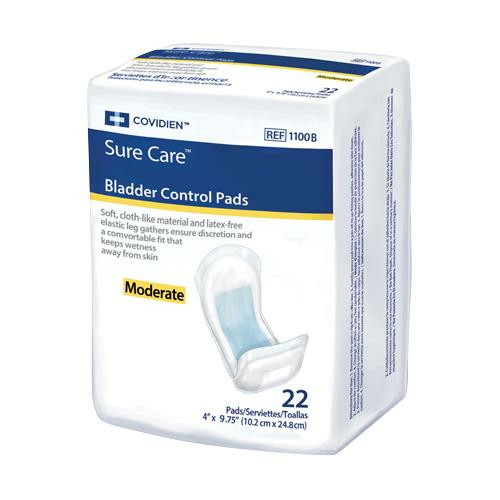 Covidien SureCare Bladder Control Pads provide effective yet discreet protection for light incontinence control. Looks similar to feminine hygiene product with increased incontinence capacity. These pads feature an airlaid insert that acts as the pads backbone, preventing undesirable deformation during use. Sure Care pads are small pads with an adhesive backing meant to be used in your own undergarments. Contains a high concentration of poly-fresh super absorbent polymer to ensure dryness.